Ekta Jhaveri works as a senior research associate in the Financial Sector Development (FSD) and Healthcare Initiative at the William Davidson Institute (WDI). Prior to that she worked with WDI’s Scaling Impact initiative. 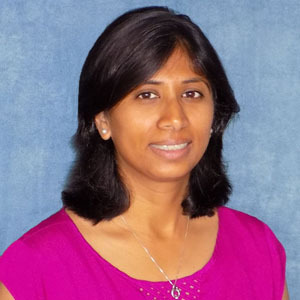 Before WDI, Ekta worked at Meritor, Inc., an automotive supplier company, where she gained experience in Corporate Development, Strategy and Corporate Finance. Prior to Meritor, Inc., Ekta worked at the World Bank where her work primarily focused on education and social protection issues in the Middle East and North Africa (MENA) and East Asia and Pacific (EAP) regions. She was a core member of the Bank’s Global Child Labor Program team. Ekta holds an MBA from the Ross School of Business at the University of Michigan and a Masters degree in Economics from Tufts University. Follow her on Twitter @_EKJ29. Because of high variability in prices and a lack of storage, Indian farmers sometimes prefer to trash the tomatoes than sell at low prices. Social enterprise Krishi Star is partnering with farmers to develop farmer-owned processing units, connecting them with the wider market. Impact Sourcing Service Providers (ISSPs) constitute a critical component of the emerging Impact Sourcing space. ISSPs are business process outsourcing (BPO) organizations with the specific social objective, often outlined in their mission, to hire workers from poor and vulnerable communities to perform BPO work. ISSPs are emerging in rural areas as reaction to rising costs in Tier 1 and Tier 2 cities in developing countries.